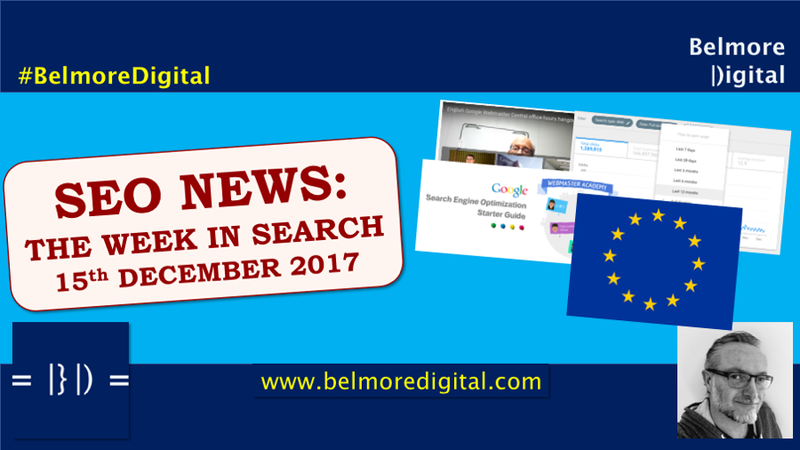 Read the in-depth post TWIS SEO News & Updates 15th December 2017 from Belmore Digital's expert SEO & digital marketing consulting blog. It's packed with actionable SEO & Digital Marketing insights, discussion and useful information. First published in the category: The Week In Search on December 19, 2017.